This is a story of an octopus. An eight-legged delicacy fated to be so much more than somebody's supper. Whose tentacle got stuck to a salad bowl served to Kihachiro Onitsuka. And became the inspiration for Onitsuka Tiger's breakthrough sports shoe innovation: the suction cup sole on the 1951 TIGER BASKETBALL SHOE. Its grip allowed players to make the fast breaks and sudden stops essential to the game. Little wonder the Japanese high school team that first wore the shoes won their championship. 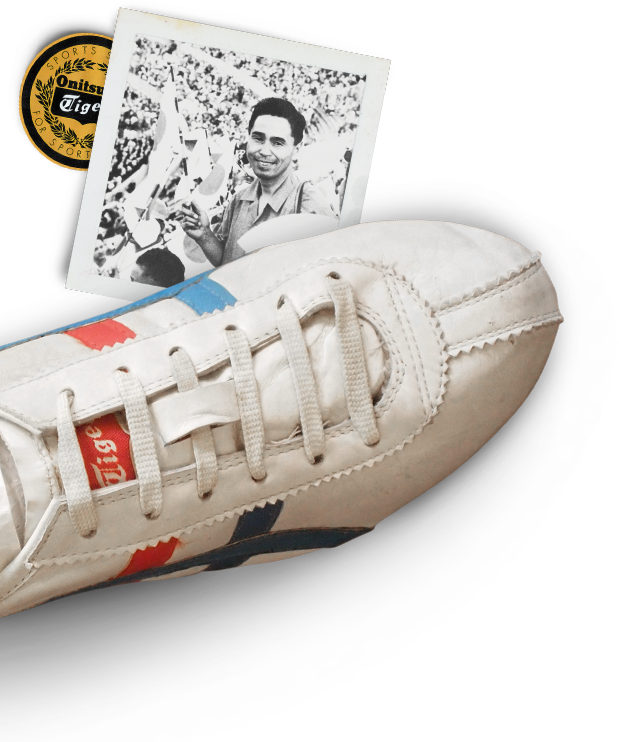 Introduced in 1966, these were the first shoes with the famous Onitsuka Tiger Stripes. Considered to be one of the choice technical runners of the 80’s.